Karen Thomas joins the Melton team, with more than 25 years’ experience in the residential remodeling and commercial building industry, as a project coordinator. 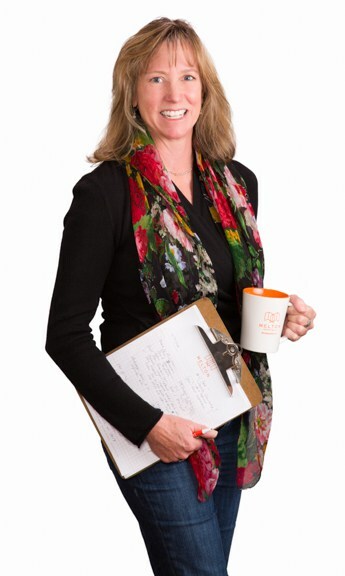 Karen is also a licensed architect in Colorado and California and is a LEED accredited professional. Karen graduated from Arizona State University with a Bachelor of Architecture degree. After graduation, she spent some time working in San Diego, before making her way to Colorado. Through her experience, she has discovered that she truly loves seeing people’s projects get built. Seeing a design take shape in a tangible form is incredible. She also really enjoys utilizing her strengths of being a great listener and planner to help make a clients dreams come to life. In her free time, Karen enjoys keeping up with her two adventurous kids, hiking, skiing, and spending time with friends and family. “My favorite project was doing an addition to an individually landmarked home in Boulder. Working with the homeowners, artists, and craftsmen to meet the needs of the family and the landmark requirements was fun, challenging, creative, and had successful results.”- K.T. “My first years of work with my architectural license were working in California. It was fun and bustling, but designs had to meet earthquake requirements, and living through a few minor ones make me happy to be in Colorado!.” – K.T.